Logan DeNoble scored twice and Adam Timleck recorded points for his third straight game, but a late comeback effort by the Petes wasn’t enough as the IceDogs skated away with a 4-2 victory on Sunday afternoon. At 8:13, the IceDogs appeared to have opened scoring, and after a lengthy discussion by officials, the play was deemed a goal. William Lochead released a shot from the blue line that was redirected off of Bradey Johnson’s shoulder and over Dylan Wells. Justin MacPherson earned the secondary assist. Trying to keep the lanes in front of Wells clear, Gleb Babintsev was called for high sticking. What was going to be Niagara’s first power play of the afternoon became four-on-four hockey, after Kyle Langdon was handed an unsportsmanlike conduct call for throwing Cole Fraser’s stick after the whistle. With 18 seconds left in the coincidental penalties, Nikita Korostelev was sent to the box for hooking, leading to 4-on-3 play and an eventual IceDogs power play. Niagara managed a handful of shots on the man advantage, but the Petes penalty killers and strong play from Wells prevented them from converting. The IceDogs held a heavy lead on the shot clock after 20 minutes, outshooting the Petes 17-5 in the opening period. Wellsy’s seen a lot of rubber this period, but we’re down by just 1 after 20. 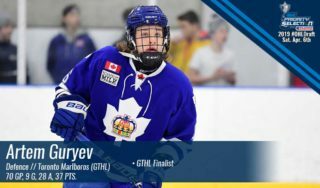 Niagara began the middle frame on the power play, as Korostelev has been assessed for slashing at the conclusion of the first period. 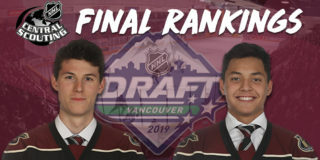 It was the Petes, though, that came on during the call, firing three shots on net, including a breakaway by Chris Paquette that was shut down by Stephen Dhillon. Shortly after play returned to even strength, the IceDogs extended their lead to two. Andrew Bruder skated the puck from the boards to the slot, dishing to Danial Singer in front. Singer spun around and shot on Wells before Oliver Castleman buried a rebound at 2:51. 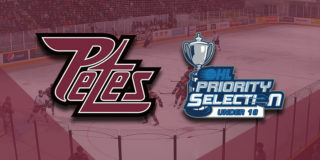 The Petes looked to cut the two-goal deficit when they were rewarded with a 1:11 5-on-3 as MacPherson and Kirill Maksimov were both charged with tripping. Unfortunately, the maroon and white couldn’t capitalize. Ben Jones added to Niagara’s lead at 17:03 when he finished off a 2-on-1 rush with Sam Miletic by threading the puck through Wells’ pads. Singer picked up his second assist of the night on the IceDogs’ third goal of the game. With a 3-0 lead on the score clock, the IceDogs led the shot clock, too, 29-15. Lots of work to do in the third. With emotions boiling over at the end of the second period, the Petes opened the final frame with an extended power play opportunity with Lochead in the box for 5 minutes for a cross checking major. 44 seconds into 5-on-4 play, the Petes were finally able to crack the scoreboard. Semyon Der-Arguchintsev worked along the boards to send the puck to Logan DeNoble in the slot. A quick give-and-go with Adam Timleck put the puck back on to DeNoble’s stick before he lifted it over Dhillon, cutting Peterborough’s deficit to 3-1. 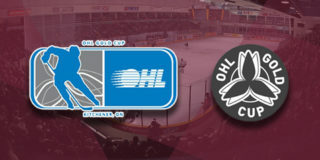 Two consecutive minor penalties to Peterborough didn’t help their cause, but a bench minor for too many men and a roughing call for Chad Denault were both successfully dismissed by the Petes. With 5:32 left in the game, DeNoble added his 28th of the season, and second of the third period, to cut even further into Niagara’s lead. After Fraser kept the puck in at the blue line, Korostelev danced around an IceDogs defender before finding DeNoble in front of the net. Through a crowd, he redirected the puck past Dhillon to bring the score to 3-2 for Niagara. Wells was pulled from his net with just over two minutes remaining in the game. Despite the extra attacker, it didn’t take long for Miletic to add an empty netter, reestablishing his team’s two-goal lead at 18:13. Final shots were 38-27 in favour of the IceDogs. Miletic, DeNoble, and Johnson were named the games first, second, and third stars, respectively. 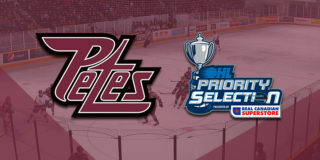 The Petes return to the PMC for a do-or-die game against the Mississauga Steelheads on Thursday, March 8 at 7:05pm. Tickets are available starting at $8 through the Collins Barrow PMC Box Office, online or, by phone at (705) 743-3561.